Happy Holidays from Everyone Here at All Storage! Our Winner! Donald from the South Fort Worth District! Runner Up! Jill from Carrollton! Honorable Mention to the whole team from our Grand Prairie District! Jennifer from Boat Club in Fort Worth and her Photo Shoot! How to Win An Ugly Sweater Contest! 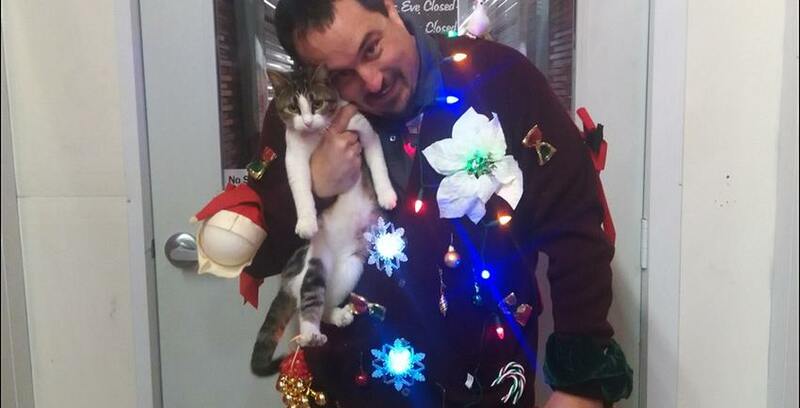 Winning that Ugly Sweater Contest is getting harder every year. These days it’s not enough to buy an old sweater at your local thrift shop – although that can be a great way to go if you’re on a budget. The best entries we saw were homemade and even included lights, signs and props! The more over the top the better when it comes to an Ugly Sweater Contest!